VATICAN CITY (CNS) — Mercy is a true form of knowledge that allows men and women to understand the mystery of God’s love for humanity, Pope Francis said. 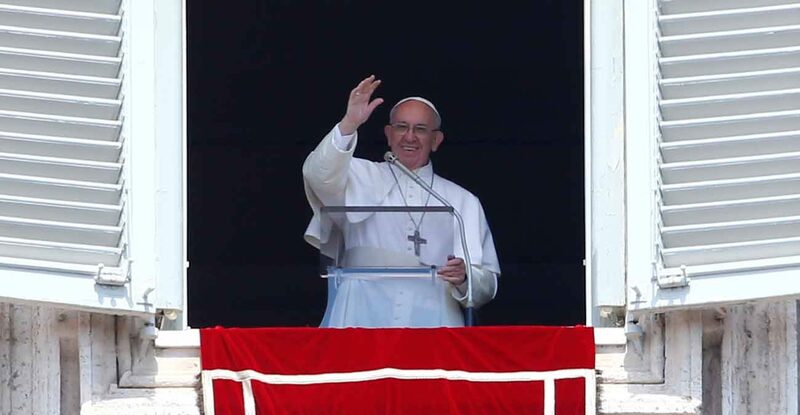 Having experienced forgiveness, Christians have a duty to forgive others, giving a “visible sign” of God’s mercy, which “carries within it the peace of heart and the joy of a renewed encounter with the Lord,” the pope said April 23 before praying the “Regina Coeli” with visitors gathered in St. Peter’s Square. “Mercy helps us understand that violence, resentment and revenge do not have any meaning and that the first victim is the one who lives with these feelings, because he is deprived of his own dignity,” he said. Commemorating Divine Mercy Sunday, Pope Francis said St. John Paul II’s establishment of the feast in 2000 was a “beautiful intuition” inspired by the Holy Spirit. “Mercy, in short, commits us all to being instruments of justice, of reconciliation and peace. Let us never forget that mercy is the keystone in the life of faith, and the concrete form by which we give visibility to Jesus’ resurrection,” Pope Francis said.